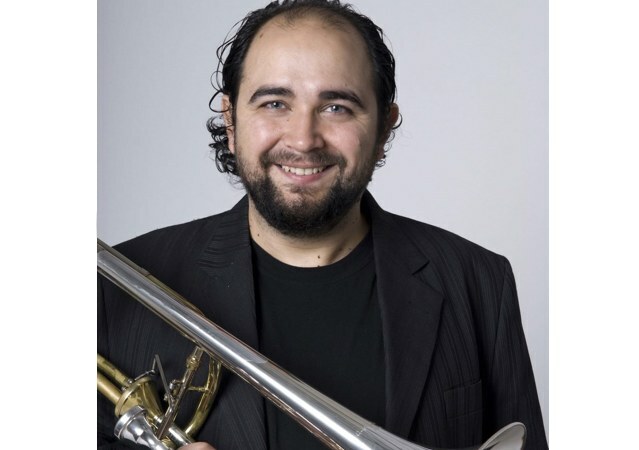 Member of the National Symphonic Orchestra of Argentina since 2007, Pablo is one of the most versatile and active trombonists in the country. Previously, he occupied the position of bass trombone, then principal trombone of the Symphonic Orchestra of Córdoba (Argentina). In the Symphonic Band of Córdoba, he was principal euphonium player, and later occupied the position of principal trombone. In 2003, he made his debut as soloist with the Symphonic Orchestra of Córdoba. He performed, also as soloist, with the Symphonic Orchestra of Campinas (Brasil), the Symphonic Orchestra of Santa Fe, the Chamber Orchestra of Córdoba, the Academic Orchestra of the Libertador Theater, the Chamber Orchestra of Rosario and the Symphonic Band of Córdoba. Together with the “Viento Sur” quartet, he has performed in front of the Symphonic Orchestras of Córdoba, Rosario and Santa Fe.As a member of “Viento Sur”, he is intensely active in chamber music, as well as participates often in experimental and improvisational projects. He is a member of the teaching staff of the “Trombonanza” international festival and for several years has been building his reputation as an instructor, attracting students throughout the country and from abroad. He was invited to teach in the Second and Third International Euphonium, Trombone, and Tuba Festival at the National Conservatory of Lima (Perú), the First International Music Festival of Campinas (Brasil) and is also a guest teacher with the Paraguay National Symphonic Orchestra. He studied with Professors Branimir Slokar and Ulrich Flad, among others, in Germany, and in Argentina with Carlos Ovejero, as well as taking lessons with Juan Carlos Maestri, Adrían Verra and Eddie Gagliardi at the State Conservatory “Felix T. Garzón” in Córdoba, where he graduated and received a gold medal for his artistic merit.